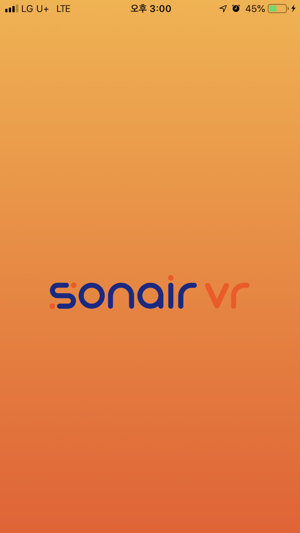 'sonicair vr' is a VR Player that plays binaural immersive sound using pre-existing VR video clips in your mobile video gallery. 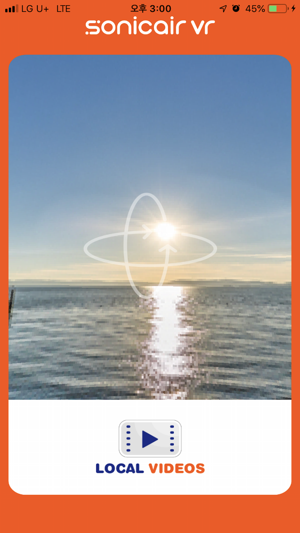 Users can experience binaural immersive sound via standard earphones thur SONICTIER's binaural sound thecnology. 'sonicair vr'은 사용자의 모바일 비디오 갤러리에 있는 VR 동영상을 불러들여 바이노럴 기술을 이용하여 입체음향으로 재생할 수 있는 VR Player입니다. 일반 이어폰이나 헤드폰을 사용하더라도 소닉티어의 바이노럴 사운드 기술이 적용된 바이노럴 입체음향을 경험할 수 있습니다. - 아이튠즈를 통해서 넣은 동영상만 VR로 볼 수 있습니다.